As Public Health Week (thanks, Governor Walz) wraps up, a couple more thoughts about clean air, and what you can do to protect it. If you are one of the thousands of Minnesotans who drive a flex fuel vehicle, there’s a simple step you can take to reduce air pollution. All flex fuel vehicles are designed at the factory to run on either gasoline or E85, a cleaner-burning fuel made with ethanol. E85 is easy to find in Minnesota, and it almost always costs less than gasoline. 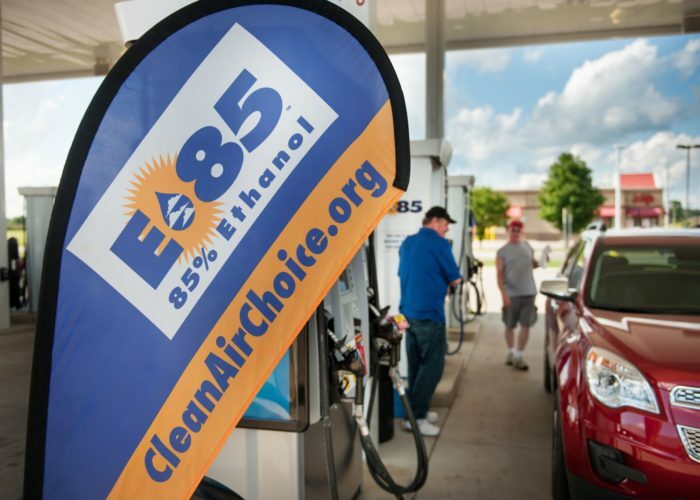 A single flex fuel vehicle running on E85 emits two tons less air pollutants in a year than the same vehicle running on gasoline. So making a Clean Air Choice® at the pump really can make a difference, and help you save money as well. Unlike petroleum-based fuels, E85 is largely renewable, locally produced, and helps our state’s economy. Best of all, it helps to protect everyone’s health.